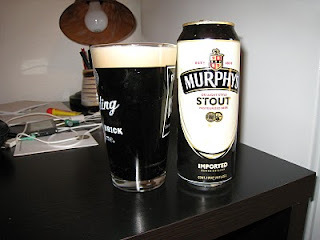 I picked up this 4 pack at Trader Joe's because it was a pretty good price and I always love getting Murphy's. The widget inside gives the nice soft creamy head associated with nitrogen taps. The color is very dark and it is very sweet in the front of the mouth. There is a touch of bitterness in the back of the mouth. 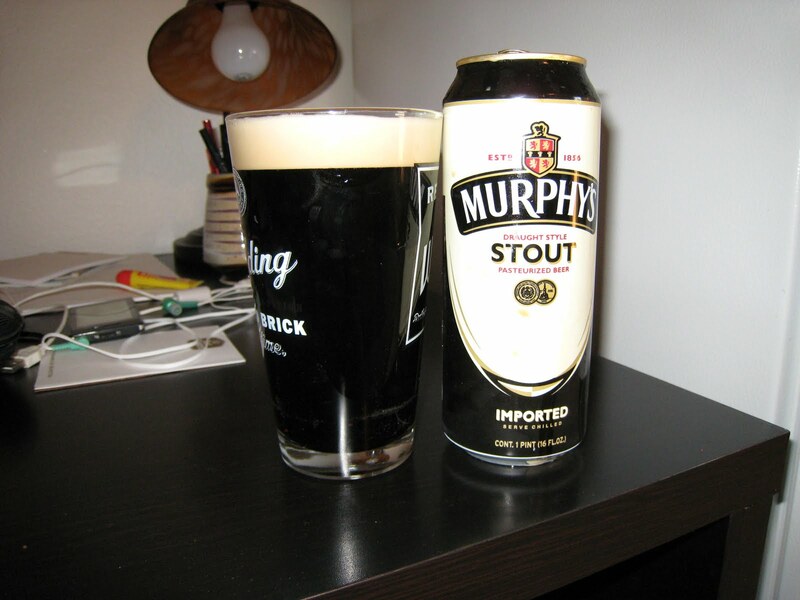 For a stout, this is not too overpowering, giving the drinker the ability to get thoroughly wasted on it watching a nice rugby match.